There’s always something new and exciting happening in Brunswick Forest. A hub of all sorts of events and activities, the community also stays busy releasing new homes and home sites to keep up with demand. WILMINGTON STAR NEWS 8/18: Since breaking ground in 2006, the award-winning community just minutes from downtown Wilmington has welcomed approximately 2,000 families, breaking one sales record after another. Their amenities package, too, has been recognized as exceptional. 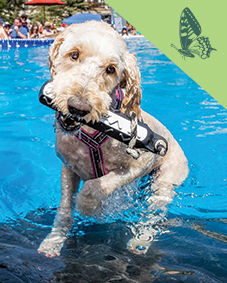 It includes the Cape Fear National® golf course, tennis and pickleball courts, three swimming pools, two fitness centers, a riverside boat launch, an extensive series of walking and biking trails, and dog parks. At the community’s entrance, a vibrant town center called The Villages at Brunswick Forest is bustling with shops, restaurants and a host of services, including exceptional medical facilities. No wonder Brunswick Forest consistently makes Where To Retire magazine’s annual “The Short List: The 50 Best Master-Planned Communities” and was recently named among the 50 best-selling master-planned communities in the nation. Year after year, Ideal Living magazine points to Brunswick Forest as offering some of “The Best of The Best” in a number of amenities. 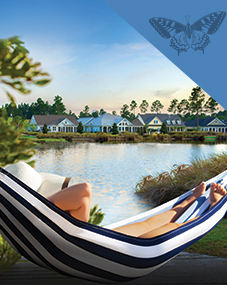 Property releases for late summer and early fall include the introduction of a brand new neighborhood called The Lakes, as well as new homes and home sites in two of Brunswick Forest’s most prized existing neighborhoods: Cape Fear National and Cypress Pointe. Additionally, two town home neighborhoods offer new releases. “Since Cape Fear National opened in 2010, development along this part of Brunswick Forest has been in high demand,” said Jerry Helms, vice president of sales for Brunswick Forest. “The 30 new properties within Cape Fear National feature water, golf course and nature views, creating some of most beautiful real estate available in the region.”Featured builders in Cape Fear National include Bell Custom Homes, Fogleman Associates, Legacy Homes by Bill Clark, Logan Homes and Plantation Builders. Prices begin around $125,000 for home sites, with homes from the high $500,000s. Model homes that showcase the spectacular views are open for tours. In lovely Cypress Pointe, a 32-site enclave is being released, featuring homes by Legacy and Logan. “This new release continues the coastal-inspired architecture that was wildly successful in our Park Landing and Spring Branch neighborhoods,” said Helms. The new homes will have water and nature views, and prices begin in the $120,000s for home sites, with land/home packages from the $400,000s. Model showcase homes are now under construction. “We are very excited to soon release the first 40 home sites in The Lakes, featuring beautiful homes by Kent Homes,” said Helms. “Surrounding what is informally known as North Lake, the homes here are true to the neighborhood’s name with a water-oriented atmosphere and will continue the West Indies architectural theme established in The Leewards.” The Lakes is also very convenient to Hammock Lake, with its adjacent swimming pool and fitness center. With water and nature views, home sites begin at $100,000; land/home packages are from $400,000. “When folks come to look at Brunswick Forest, we want to offer a choice of home styles so they can find what is ideal for them,” said Helms. “Many people choose town homes for the low-maintenance lifestyle, and the ability to downsize without giving up quality. These well-appointed, single-level plans give the feel of a single-family home.”Built by Logan Homes, the newest town home residences at Cypress Pointe are under construction and now available for purchase from $330,000. Helms said that people who are interested in these town homes are able to get a true sense of the floor plans, as well as the fit and finishes, by walking through open model homes.Additionally, Tennyson Village is a town home community from Trusst Builder Group that offers a modern coastal feel. Each home has a walled private courtyard and screened-in porch. Open models showcase multiple floor plans and home packages are from $330,000.